Because some of you asked me more questions about astrology terms I am starting to post answers in more then one article. Today you get the second part. Question 1: What website has a reliable daily horoscope? Answer 1: Daily horoscopes cannot be useful. They are only general trends of the day and most of the people are losing their time to read it. 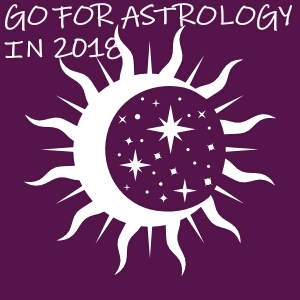 If you want useful information, ask an good astrologer. A good astrologer will not encourage people to live their lives by reading daily horoscopes. Question 2: Do Sun signs really reflect someone’s personality? Answer 2: Sun sign is not enough to reflect somebody’s personality. Only natal chart is the unique signature of that person on this planet. Question 3:Who is a true Scorpio man? Answer 3: Nobody is a true, 100 % Scorpio man or woman or any other zodiac sign. Each of you are unique with a mixture features of 12 signs, in combination with planets and houses. Natal chart is your signature. Question 4: Can you determine your career by your natal chart? Answer 4: Yes. Natal chart data (day, month, year, place and exact moment of birth) and offers valuable information about your professional and creative potential, native talents and strengths, how you work with others, the main fields where you can provide the best results, the ability to make money, but also your limitations and many other useful information. Question 5: What is the result of Saturn and Mars in the sign of Aries in the 9th house for a Leo Ascendant? Answer 5: Mars with Saturn makes you focus on everything is linked with 9th house activities: traveling, higher education, religion, your own ideals in life. This conjunction is very powerful. You may become a cause fighter! Great performance and focus! Question 6: What does it mean to have Jupiter in Pisces in the 12th house, connecting to Pluto in the 8th house in Sagittarius? Answer 6: Jupiter is the ruler of Pisces, so it is very good placement. In the 12th house means you should have good results in spirituality path, if you choose to have one and opportunities came from other countries. You may travel often abroad. Question 7: What does it mean if a natal chart contains only hard aspects (a couple of oppositions, inconjunctions, squares, and conjunctions) and only one easy aspect (a trine)? Answer 7: It means that you have many opportunities to evoluate in this life, having a dinamic and active life. Not all hard aspects are bad, they put you to action, to become a better person. Important note: In all my astrological research and interpretations I use the Whole signs (house system) because it is the oldest house system (used by ancient Greek astrologers) who has proven its real value during history. When I am writing about aspects between planets, I use aspect from sign to sign; I am using a traditional way of interpretation of aspects. An aspect is not a must to be at perfect orb to have an effect. It is enough if we have a planet in a sign that forms an aspect with another planet from another sign. The most powerful aspects are: conjunctions, oppositions, squares and trines.